Time Warner, the parent company of CNN, impressed investors on Wednesday by beating Wall Street expectations and upping its profit forecast for the year. The company's stock closed up about 4% for the day, at $77.99. New revenue from video-on-demand and elsewhere offset a weak summer film slate from its Warner Bros. division. Revenue grew 3% to $2.8 billion. At its cable channel division Turner, per-subscriber fees made up for weak advertising sales. Revenue there was up 5% to $2.4 billion. At HBO, revenue rose 10%, to $1.3 billion, also largely thanks to increases in per-subscriber fees. HBO recently announced that it will start to sell a version of its service via the Internet next year. Overall revenue at the company rose 3%. Earnings per share of $1.11 exceeded analysts' projections of 94 cents per share. Time Warner has been under pressure to increase its earnings -- and its stock price -- in the wake of Rupert Murdoch's unsolicited bid to acquire the company over the summer. 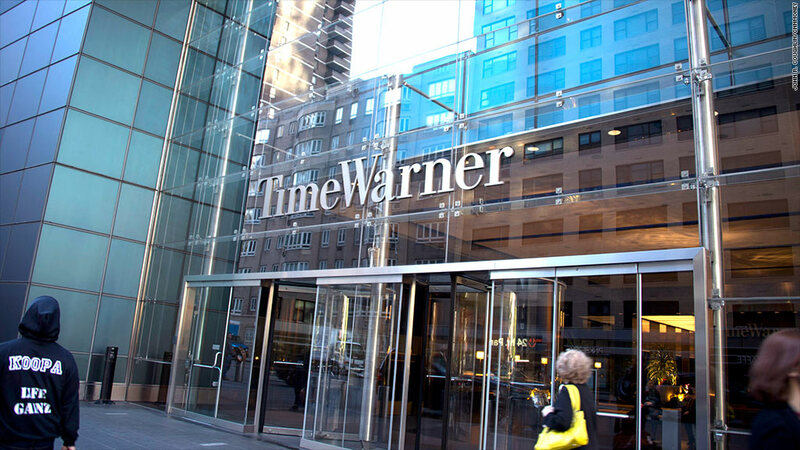 Time Warner (TWX) CEO Jeff Bewkes rebuffed that bid, and recently outlined a five-year plan for the company. On Wednesday, the company said it expects to deliver full-year earnings growth in the "high teens" on a percentage basis. Earlier it had said it anticipated growth in the "low teens." In a conference call with investors Bewkes said there was "big opportunity in video" for all three divisions of the company. He said Time Warner will continue to seek new forms of distribution for its shows and channels, as demonstrated by the HBO announcement, while continuing to work with existing partners in the cable and satellite industry. The strong quarterly earnings came amid a period of difficult cost-cutting at all three divisions of Time Warner. Turner recently shed about 10% of its workforce through buyouts and layoffs, and HBO and Warner Bros. are also embarking on sizable cuts. Bewkes, in an internal memo on Wednesday, said the layoffs are part of necessary "restructuring activities" at the company. "I want to again recognize that this can be both difficult and unsettling, and express our gratitude for the contributions of everyone affected by these changes," he wrote.